Figure 1. 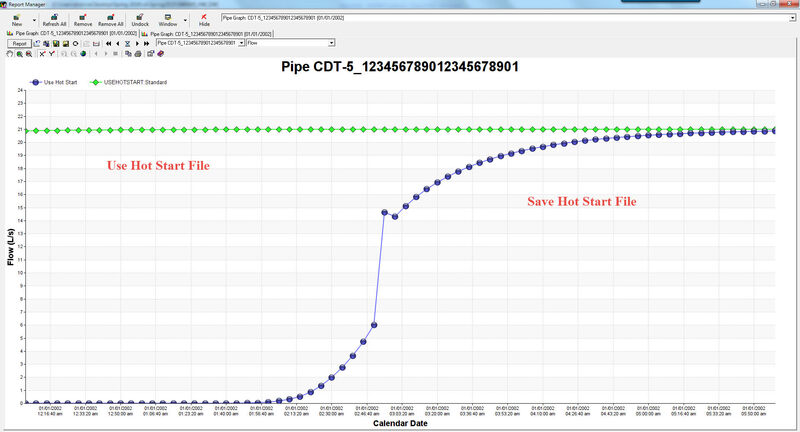 File Tab for Saving or Using a Hot Start file in InfoSWMM InfoSWMM SA. There is a similar dialog in SWMM5. Figure 2. 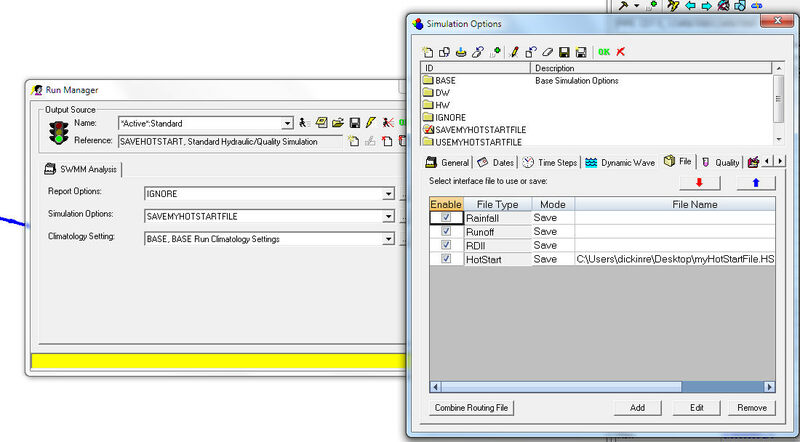 Each Scenario in InfoSWMM InfoSWMM SA can have a different set of report and simulation options. Figure 3. The Saved Time Series for the Outfall (Blue) and Use (Green) Outfall Time Series.